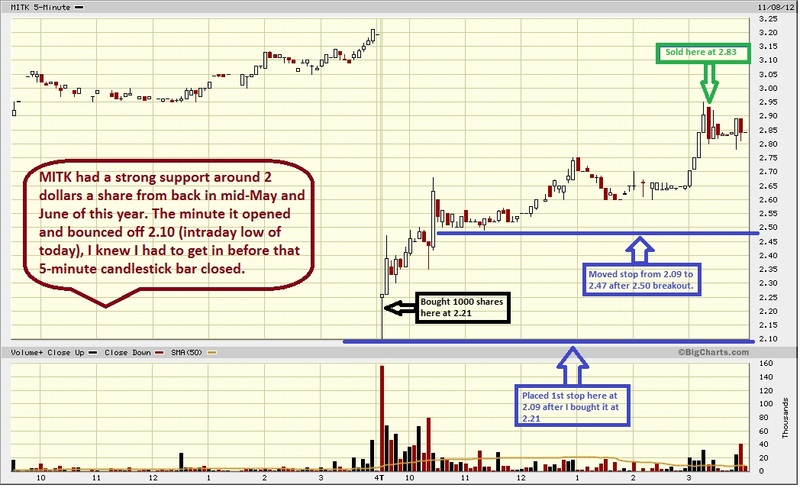 TRADER 9: Trade of the day, MITK!!! Made 4 daytrades today right at the open. I had 2 losing trades and 2 winning trades, and I was still able to make a profit overall going long when the market was going down. In total today I still ended in the black for $350 profit even though I should have at least loss or broken even the way the market was trading today. Anyways, above chart picture is how I snagged MITK for a .62 point gain.